Somethings are just not meant to be a poured painting. I even have blisters on two fingers from this painting – and well, the old goat has been shredded – and the new goat will not be far behind! Every now and then it happens. And I knew it as it was happening. But for some reason I forged ahead. Not once but TWICE!!!! ARRRRRGGGG!!!!! With each step I questioned myself. With each pour I asked what are you doing? And I still proceeded. As the painting developed it was well, ok. Well, I don’t do ok. The height of mediocrity is not nor has ever been my goal. I strive for strong, well-executed work! Work that I can hang with a level of confidence and not have to explain away. That is what makes me tick. And yet I plodded on hoping that the end result would fare better than what I was watching develop. 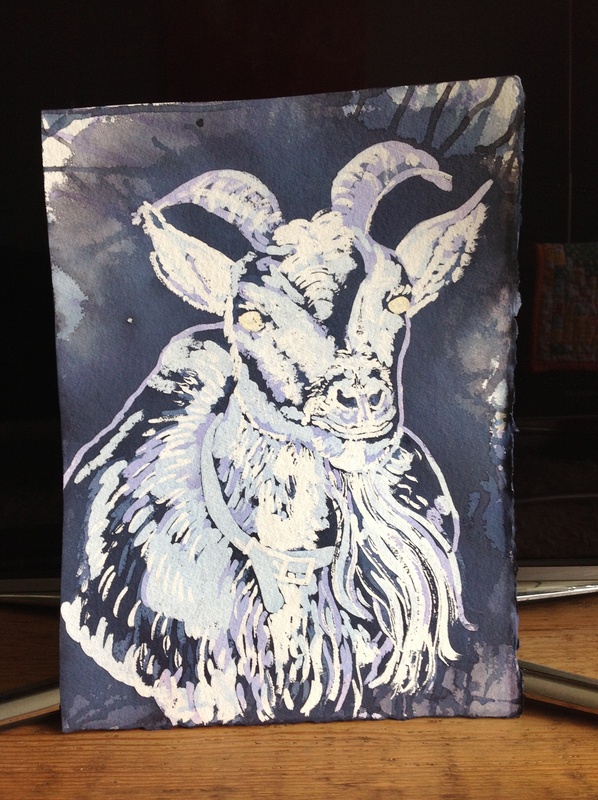 I completed five pours on this Old Goat and just six on the New Goat (you can see how I feel about it by how I am referencing it), removed the masquing compound and really look at it. It was ok. That word again. Once the masque was off, it was really clear to me how to improve it. Tear it up and burn it baby burn it! Start over I said. And start over I did. This time I was able to achieve a thinner line of masque for the hair and included a background of sort. 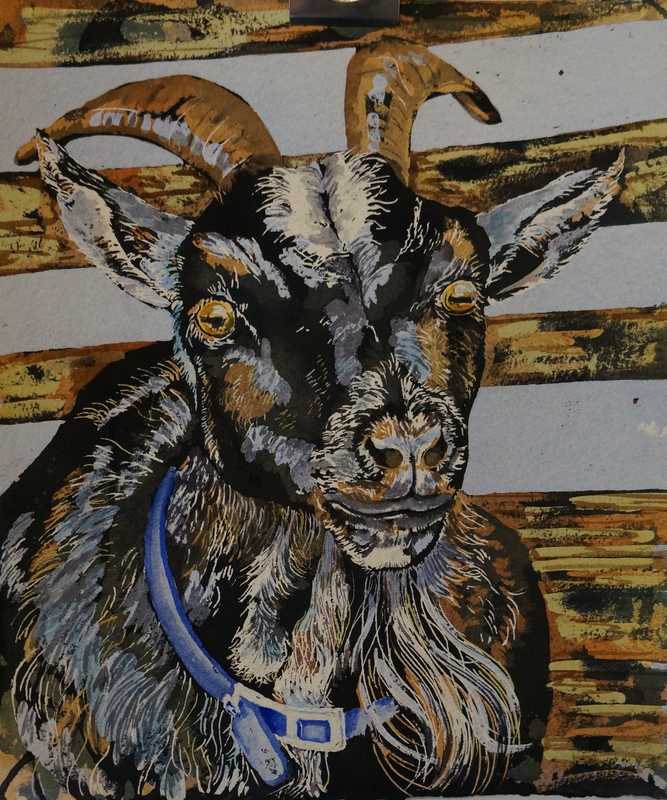 Crop in closer to the goat’s face creating a better composition and more interest in the overall work. And still I am completely not satisfied – two paintings for the fire pit! Note to self: Plan your work more carefully. Just plan your work. Lesson re-learned for now. Haste does make waste! Is this ever a position you find yourself in?